When I was in third grade, my teacher Miss Leitzen created an end of the year slideshow set to touching background music like Dionne Warwick’s That’s What Friends Are For and Whitney’s The Greatest Love Of All. Even now, that song makes me tear up, remembering all the potential we knew we had. 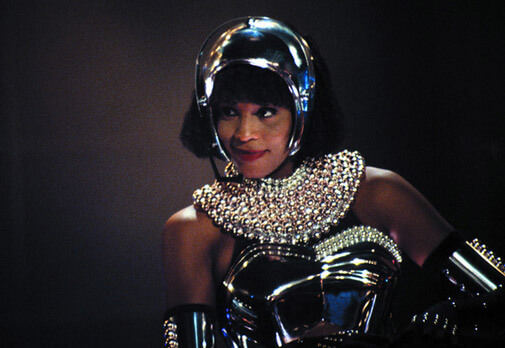 Whitney Houston’s voice was powerfully distinct, incomparable to many for several decades. With a surprisingly short discography list, she’s the most awarded female artist of all time and the 4th best-selling female artist in the United States. And although the end of her life and career was turbulent, she left us with some of the greatest pop songs ever recorded that I’ll be singing for the rest of my life. This entry was posted in music, news, nostalgia and tagged whitney houston. Bookmark the permalink.